I’m noticing that my grippers dont pick up the sheet in exactly the same place. Gripper A picks the sheet up square with about 7/32” depth the whole way across. Gripper B grabs crooked with 1/8” on the left lay standard side and almost 1/4” on the right. 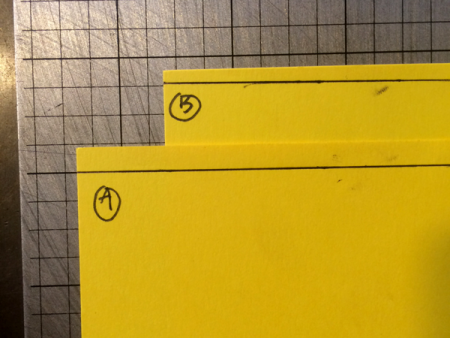 (with an 8.5” sheet). The gripper doesn’t appear to be bent. This is only an issue using gripper register. When using guides it delivers the sheets uniformly. Is this a timing issue? The gripper advancing down the platen before it closes? 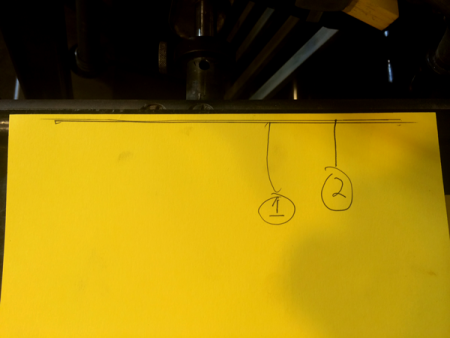 The second photo shows the gripper edge when picking up the sheet (1) and the edge when delivering the sheet (2) when using brass guides. Good evening this looks like a bowed gripper . Platens are renown for being slightly out to each other on grip. But this does way more than it should be . Your grip into the grippers should be 6mm .Make sure that both grippers are opening the same should be between 15mm an 17 mm . Could also be an issue with the carrier being out of line or bent there are several other issues it maybe . Run machine until gripper is parallel to the platen face look down the edge to see if it’s running true. swap the grippers over, this will give you more of an indication of wether it is the gripper or the gripper carrier.